AUSTIN, Texas – Three State of Texas/Federal Disaster Recovery Centers(DRCs) in the cities of Houston and Katy will close the last week of March. cities of Houston and Katy will close the last week of March. However, help is just a mouse click, phone call or a tap on the FEMA app away. 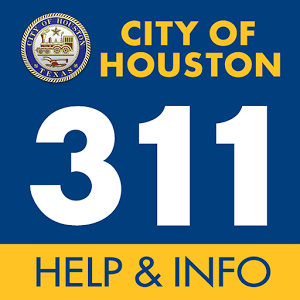 The nearest open DRC in Harris County is at Greenspoint Mall, 12300 North Freeway, Houston, 77060. Hours are 9 a.m.-6 p.m., Monday-Friday and 9 a.m.-1 p.m., Saturday. · Logging into their account at DisasterAssistance.gov. · Calling the FEMA Helpline at 800-621-3362 (voice, 711/VRS-Video Relay Service) (TTY: 800-462-7585). Multilingual operators are available (press 2 for Spanish). · Downloading the FEMA app, available for Apple and Android mobile devices. To download visit: fema.gov/mobile-app. · Visiting any of the disaster recoveryof the disaster recoverycenters still open. Locations of otherrecovery centers can be foundonline at www.fema.gov/DRC. Even though the deadline to apply for a loan for property damage has passed, small businesses, small agricultural cooperatives, small businesses engaged inaquaculture and most private nonprofit organizations of any size still have until May 25, 2018, to apply for an economic injury disaster loan to help meet working capital needs caused by the disaster. Economic injury assistance is available regardless of whether the business suffered any property damage. Business owners may apply online using SBA’s secure website at https://disasterloan.sba.gov/ela. For more information on Hurricane Harvey and Texas recovery, visit the Hurricane Harvey disaster web page atwww.fema.gov/disaster/4332, or Facebook at http://www.facebook.com/FEMAharvey,the FEMA Region 6 Twitter account at twitter.com/FEMARegion6, or the Texas Division of Emergency Management website at https://www.dps.texas.gov/dem/.